Hotel Review: A Weekend at the Shangri-la Hotel Sydney - Holy Smithereens! The Shangri-la Hotel in Sydney is one of the city’s popular five-star hotels that occupy the prime spot around Circular Quay. Its location in the historic Rocks district gives the hotel a perfect balance of being away from the noise of main streets but at the same time very close to Circular Quay and other places of interest. It was in April 2003 when I first set foot in Sydney with my parents, a memorable trip that we took following my graduation from University. We did the usual touristy stuff: Opera House, Olympic Park (the 2000 Olympics was still a ‘hot’ item then), and I climbed the Harbour Bridge while my parents had a coffee date at the Opera House. I won’t name names, but my dad was quite unimpressed with the hotel offerings that Sydney CBD had at the time. So much that we moved hotels twice. We probably should have waited a few more months because in July 2003, the Shangri-la Hotel in Sydney opened. They say absence makes the heart grow fonder, and that rings true with my experience. After living in Sydney for 5 wonderful years and then moving to Canberra (where I’ve been for a couple of years now), I always welcome an excuse to head back to Sydney. 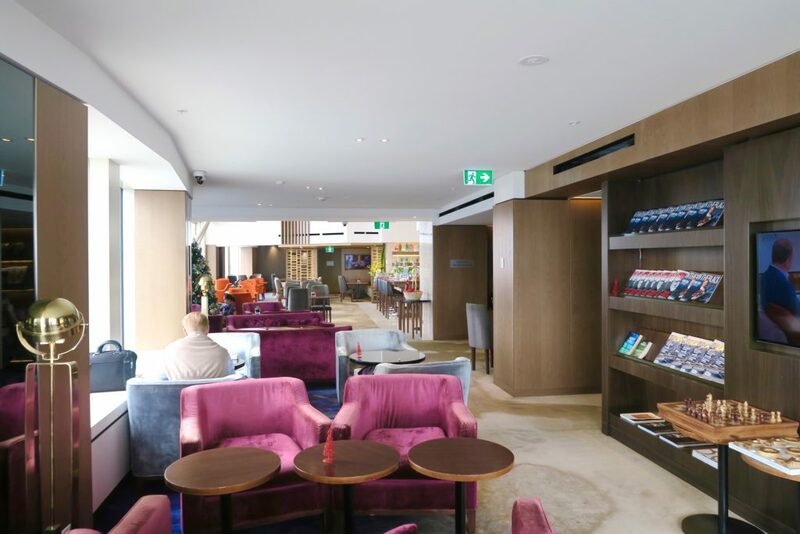 One of the many perks of being booked in a Horizon Club Room is having access to its exclusive lounge for check-in / check-out and even breakfast. 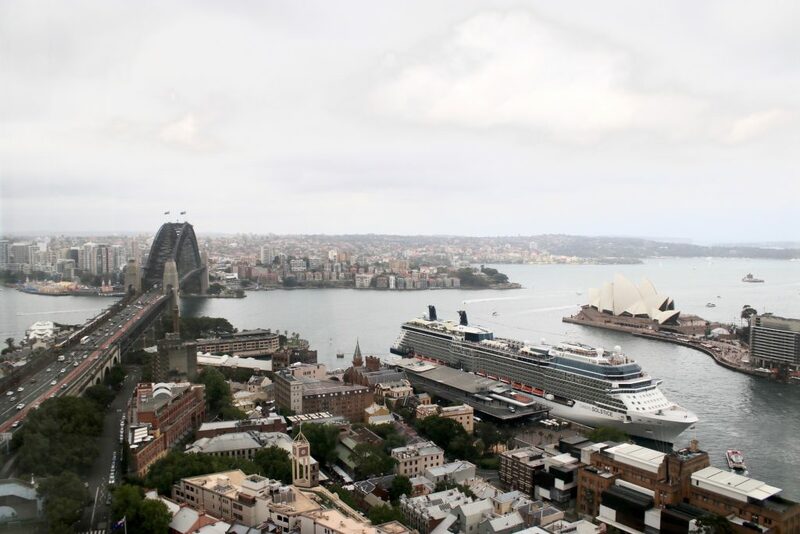 So I was ushered to the 35th Level, where I waited happily with refreshments and light snacks with views of the Harbour Bridge, Opera House, and a Celebrity Cruise ship in view. Horizon Club guests enjoy a number of privileges, and some of these include private check-in / check-out (with the option of a late check-out of 4PM), complimentary use of its private lounge and its facilities which include shoeshine services and one item of clothing (suit or a dress) among others. More information on Shangri-la’s Horizon Club privileges. 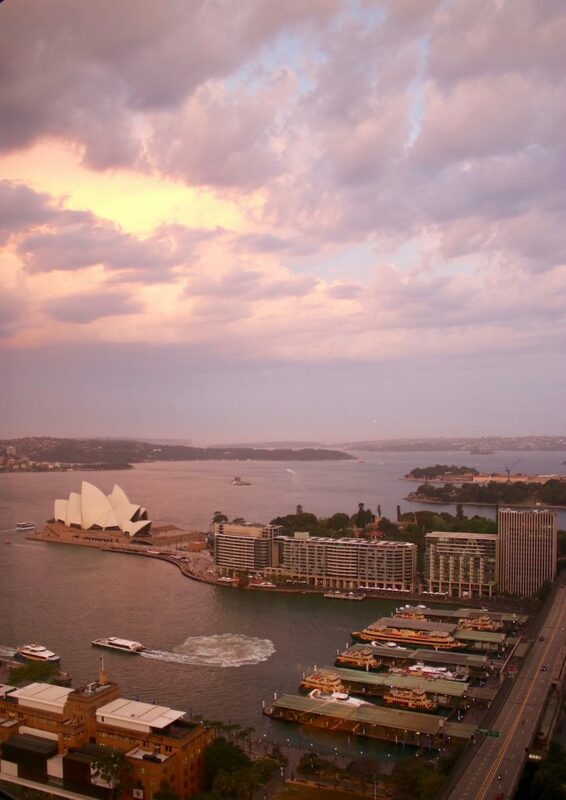 All 565 guest rooms and suites of the Shangri-la Hotel Sydney offer views of the harbour. Out of this, 32 are Horizon Club Opera House City View rooms. My bed was extremely comfortable and the pillows had the right amount of plush and firmness. 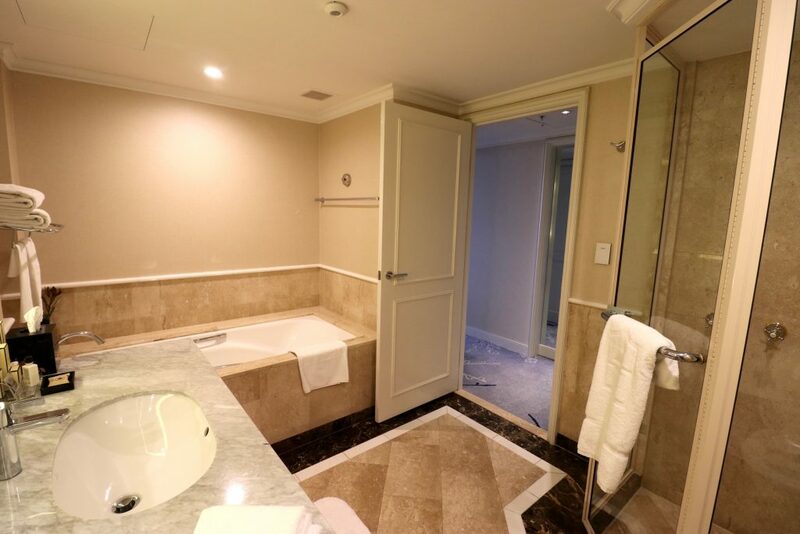 Bathroom was also spacious with a separate tub and shower area. And how can we not talk about that view! Everytime I get a glimpse of the Opera House and watch the ferrys sail in and out of the harbour, I fall in love with Sydney all over again. And again and again. One thing I really loved about my stay was the complimentary high speed Wi-Fi. It’s free throughout the hotel and when you’re in public areas, you don’t even need to sign in. This is so refreshing for a luxury hotel in Sydney. I almost could not believe it! Chi The Spa at Shangri-la Hotel Sydney. 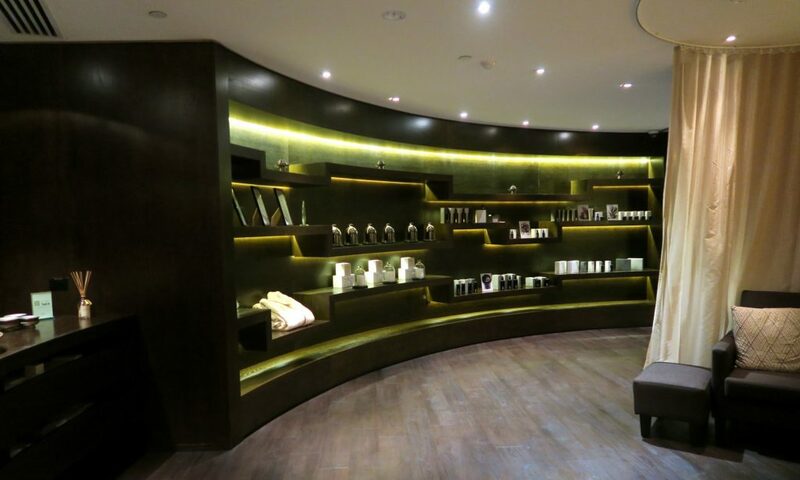 I personally think that Shangri-la’s Chi The Spa is one of the best spa brands among hotels and resorts. 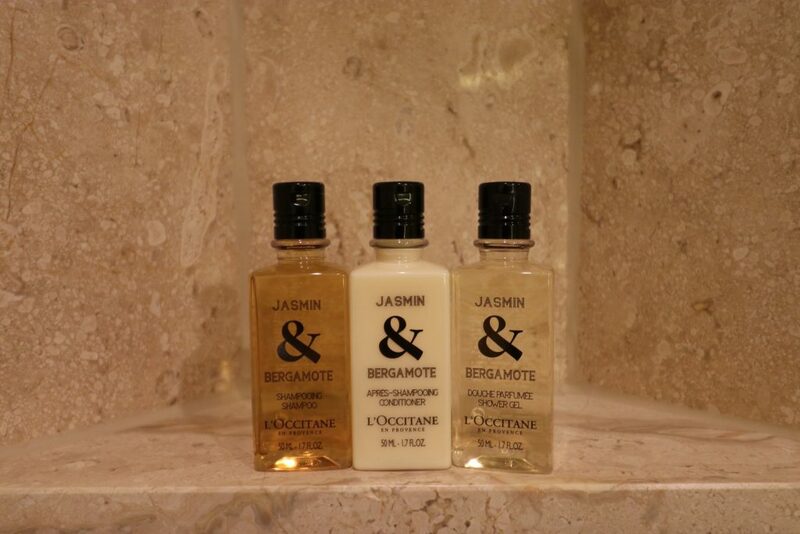 Every Chi The Spa of a Shangri-la hotel or resort would have their own signature treatment exclusive to its location. During my stay, I was fortunate enough to receive a 90 minute Oud Oil Renewal Therapy exclusive to Shangri-la hotels in Australia. 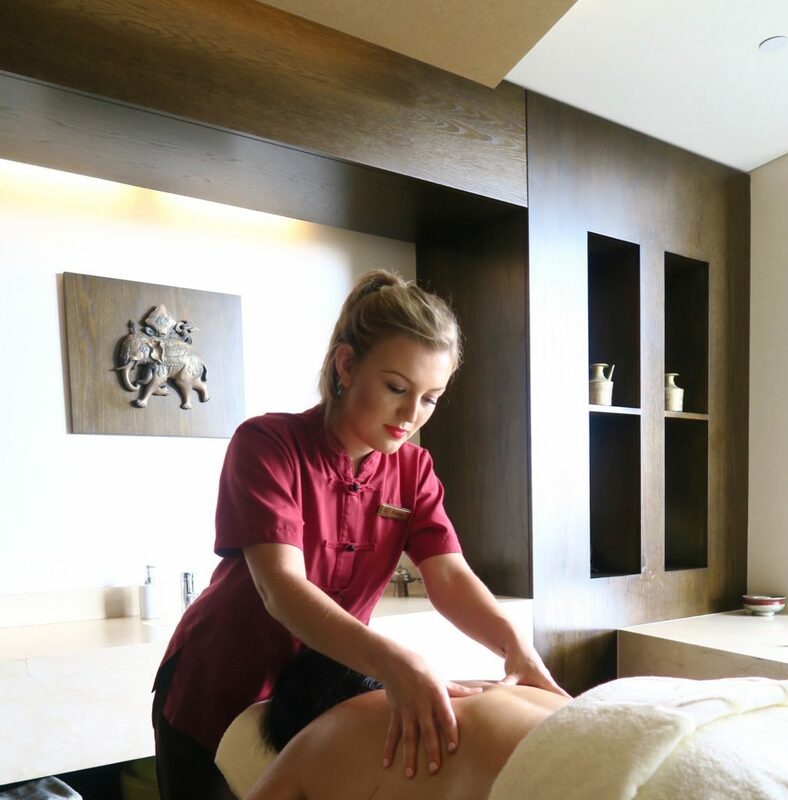 This treatment, using Sodashi’s Arabian Oud Body Oil (a heavenly combination of oud wood, frankincense, sandalwood and rose) is the treatment of my dreams, combining a 30 minute back and shoulder massage and 1 hour of soothing and relaxing facial. My therapist’s hands almost never broke touch the entire 90 minutes. Even when my facial mask was drying, she gave me a heavenly scalp massage. When I woke up, my skin had that youthful and well-rested glow that I have not seen in a long, long while. Once the sun sets, the views of Sydney change dramatically as night lights come to life, the Harbour Bridge slowly getting dotted with lights from cars stuck in traffic. While it’s likely not enjoyable to be in one of those cars just after sunset, an ideal place to be is the Blu Bar, on the 36th level of the Shangri-la Sydney. The Blu Bar comes up with new drinks every season, and my friend Drew and I were lucky to try out this summer’s “Liquid Physics” series, all concoted by bartender genius Nabin Koirala. I try the Golden Susie, a mixture of mango puree and basil foam with white wine aperitif. It tastes very tropical and with lots of South East Asian flavours. Something perfect for summer nights. And then there’s the mind-blowing Popcorn Negroni. I’d like to think I’m fairly creative, but I would never have thought of creating a buttered popcorn drink! It’s a mixture of edible dry ice with a technique (I call it sorcery) called fatwash with Campari. Served with buttered popcorn on top. There is a bubbling, smoking effect. It is quite a masculine drink that I liken to whiskey on the rocks. The smell is buttery but not the cloying kind as it is balanced by the alcohol. 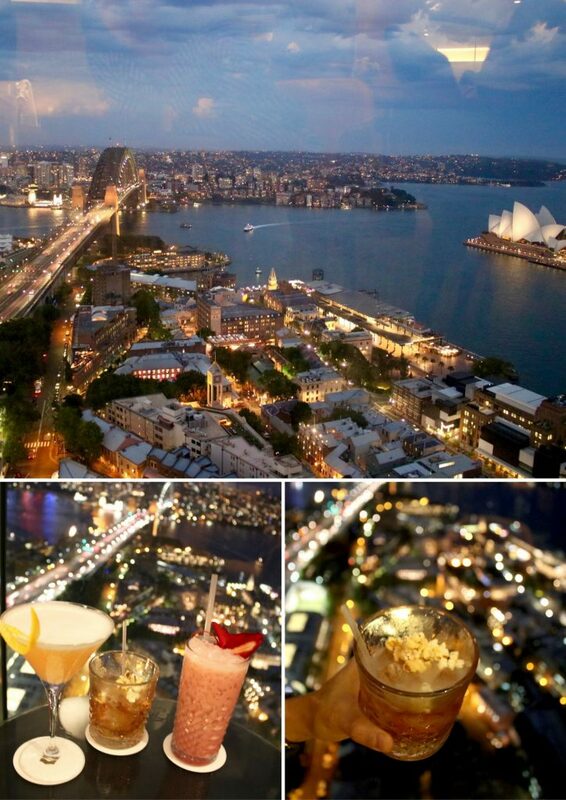 After drinks, we transferred next door to Altitude Restaurant, the Shangri-la Sydney’s formal dining restaurant. With floor-to-ceiling windows surrounding the restaurant, we were sat in an area that had views of the Harbour Bridge to the left, and the Opera House to the right. Between the two of us, we tucked into a wonderful dinner of marron and soft shell crab tempura for starters. For our mains, we had toothfish (myself) and great southern lamb (Drew) And for dessert, we shared a creation called Summer Cherries, made up of cocoa meringue, cherry mousse, and cherry sorbet. 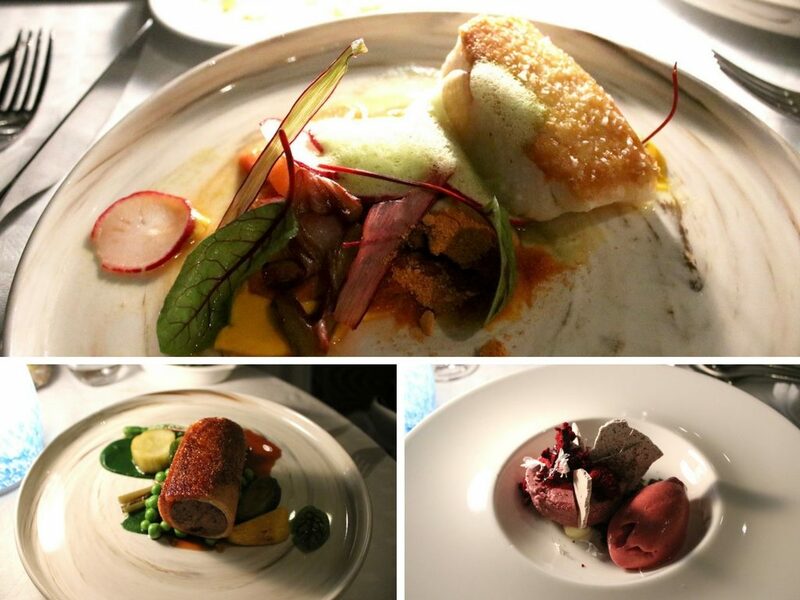 The seafood dinner was absolutely divine, most especially the toothfish which was plated with a medley of carrot, saffron, orange, rhubarb, artichoke, radish, basil and parmesan. 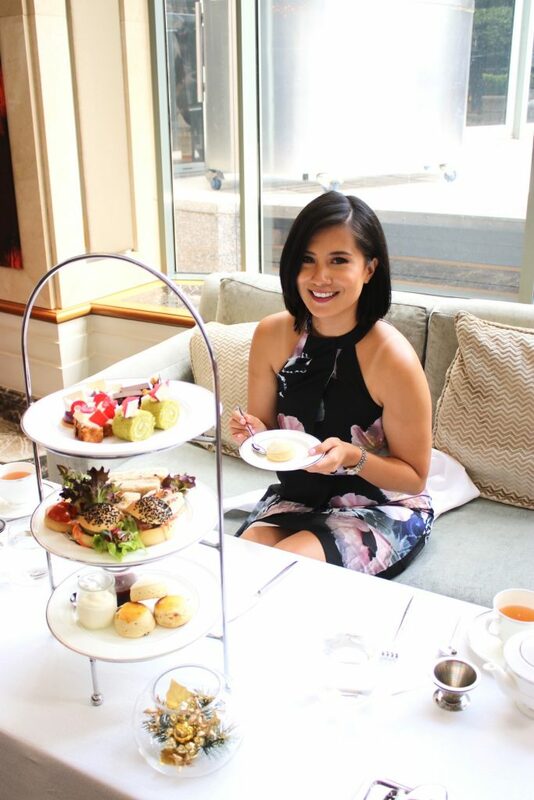 From 11:30 am to 5 pm, one can enjoy High Tea at the Lobby Lounge and Terrace area of the Shangri-la Sydney. We did this one morning and the lobby lounge was already festive with Christmas display. Our High Tea for two included three tiers of sweet treats, savoury creations, and scones with homemade preserves. My friend Kelsi and I couldn’t decide which was better between the savoury fares or the sweet ones, so we decided to happily call it a tie as we finished our plates with peach tea. 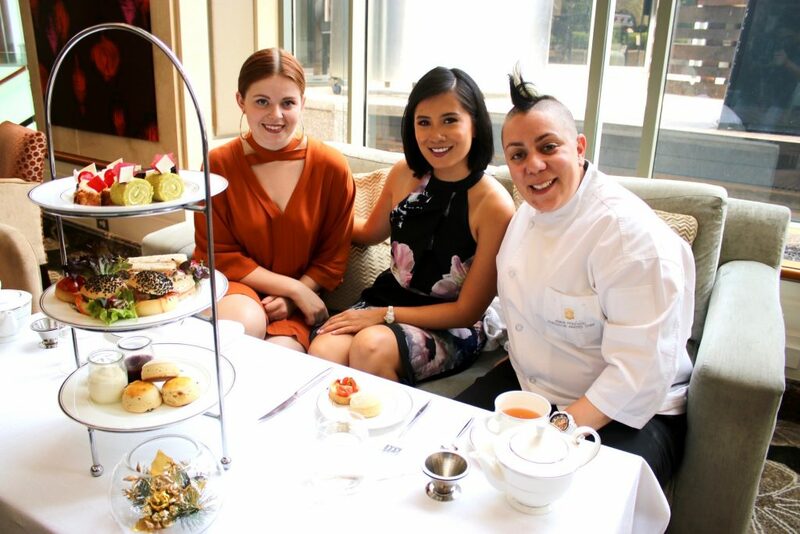 And after meeting Shangri-la Sydney’s Executive Pastry Chef Anna Polyviou, we were not surprised at all that her meticulousness and passion for pastry was felt and tasted in our high tea. 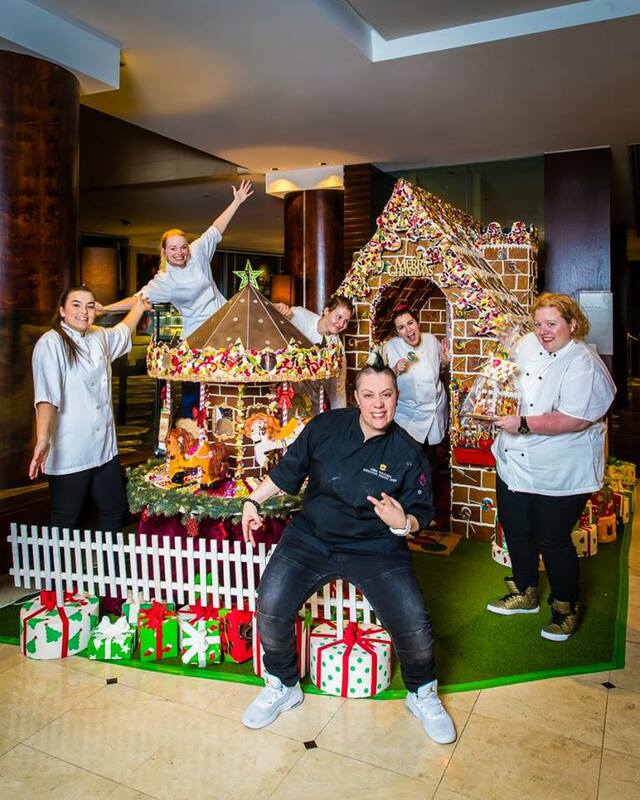 Award-winnng Exec Pastry Chef Anna is a MasterChef star and recent recipient of Pastry Chef of the Year Award by the 2016 Gault & Millau awards. Apart from her awards and accolades, what makes Anna celebrated and highly respected in the world of pastry-making and hotels is her charisma and ability to bring her creativity to life with her passion. She is a powerhouse bundle of infectious energy that morning, excitedly telling us about their gingerbread house which was to be unveiled a few days later. Here’s a photo of Anna and her team when it unveiled a couple of weeks ago. Anna was able to give us a behind-the-scenes mini tour of the gingerbread house without the furnishings and let me tell you, I was on gingerbread aroma high when we went inside. The gingerbread display is still on at the Shangri-la for the whole festive season. 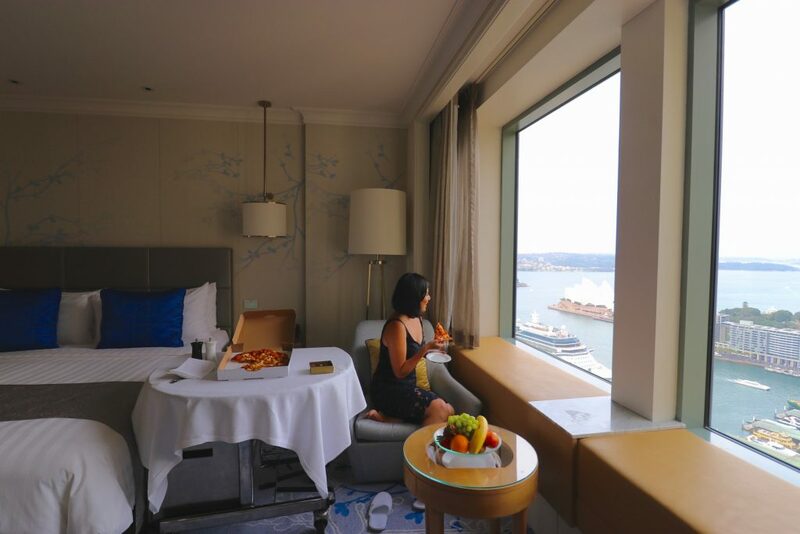 My stay at the Shangri-la Hotel Sydney perfectly showed me that the fantastic views from the hotel are just the cherry on top of the other magnificent things the hotel has to offer. My dad surely would have approved. 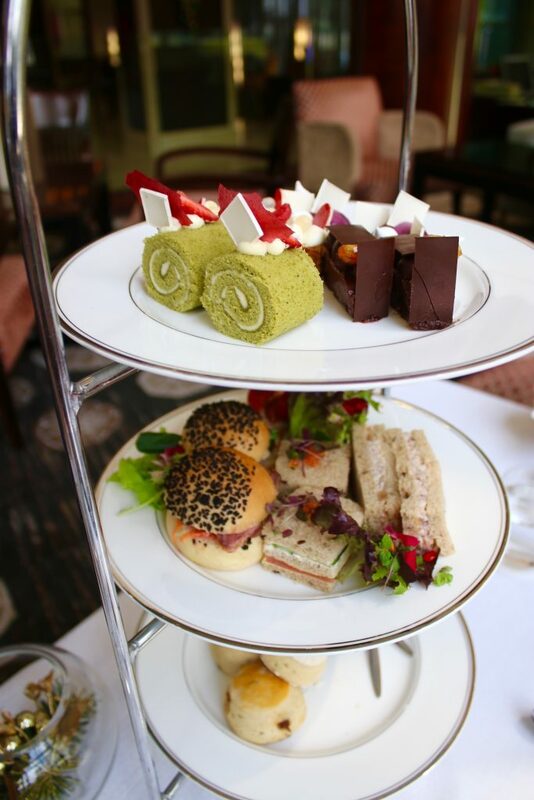 All this talk about High Tea has got my tummy grumbling a bit. Are you more of a savoury or sweets person? 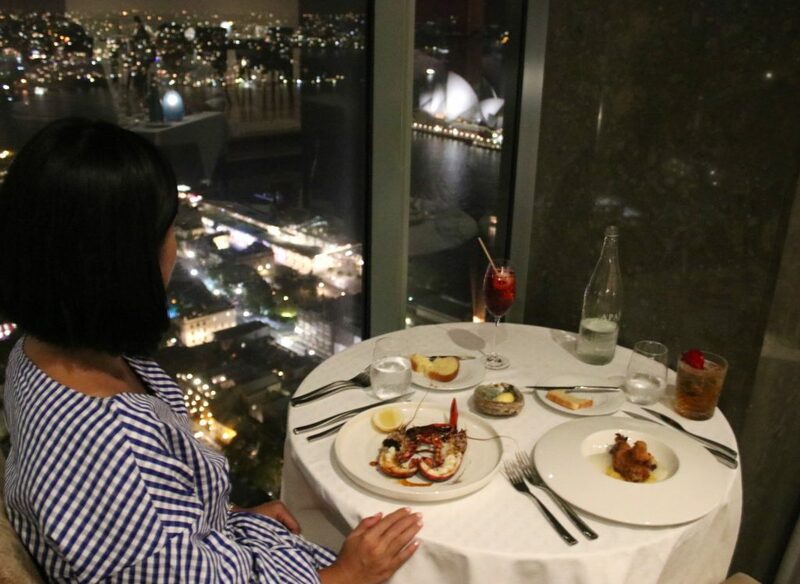 I stayed as a guest of Shangri-la Hotel Sydney but all thoughts and opinions are mine. The 90-minute Oud Oil Renewal Therapy costs AUD 240.00 during weekdays and AUD 270.00 on weekends. High Tea at the Shangri-la Hotel Sydney starts at AUD 45.00 per person. 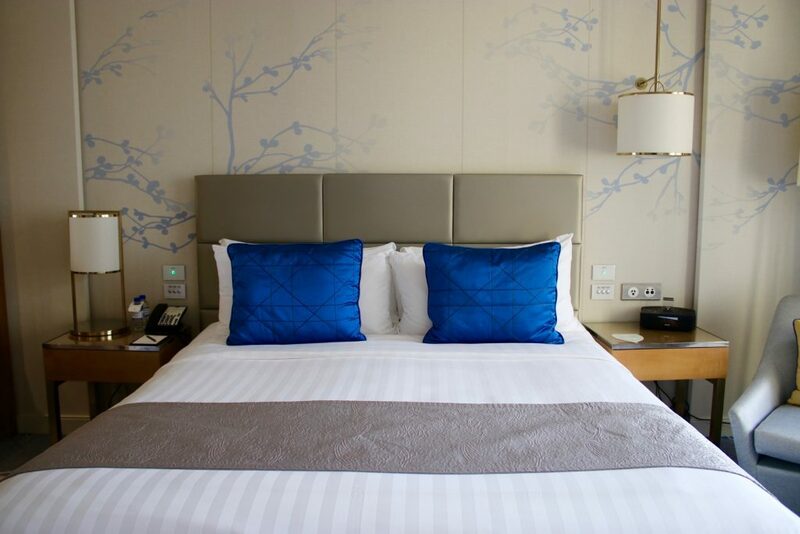 For room rates and more information, visit the Shangri-la Hotel Sydney site. I have never stayed at the Shangri La but once had lunch at Altitude and it truly was an amazing view. How cool would it be to stay there for New year’s eve, or for a romantic interlude with my husband… no children allowed! Lovely write up. I’ve stayed here too, the view and location is truly outstanding. We loved our dinner at Altitude too! What an amazing weekend! We stayed at the Shangri La on our first trip down under as a couple in 2005 and got upgraded to a suite! The views were amazing as was the Horizon Lounge. I’ve been begging hubby to go back for a staycation now that Sydney is our home and not a holiday destination! The year after we moved here we had an anniversary dinner at Altitude – swoon – and I get my Shangri La fixes at Blu Bar. Those views are hard to beat! Ana’s tea is still on my edible bucket list! That’s a wonderful way to stay at the Shangri-la ! I agree, you must do a staycation (even with no special occassion) or even to commemorate your first trip down under as a couple! Thanks a bunch for the sincere review. This hotel seems so lovely and cozy. The view is so breathtaking!